There’s not really anything wrong with this yarn. In fact, it’s very useful. That’s why you have so many skeins of it, in multiple colors. It’s just…it’s not very interesting, is it? It doesn’t exactly scream, “Make me into something amazing!” It’s easy to be seduced by something new and exciting at the store when your stash is filled with yarn that’s practical and reliable. Whatever potential this yarn may have, it might as well be on the moon because it’s tethered to an unfinished project. Reclaiming it would require slaying the sleeping dragons of sweaters the wrong size, blankets too big to finish, and mistakes not noticed until ten inches later. For some special yarn it may be worth it, but otherwise – it’s best to let sleeping dragons lie. Buying yarn on vacation is fun and – on the surface – seems like a practical souvenir. Unlike a knick-knack that will sit on a shelf and collect dust, a skein of yarn will provide hours of enjoyment, all the way from selecting a pattern to using the finished project. 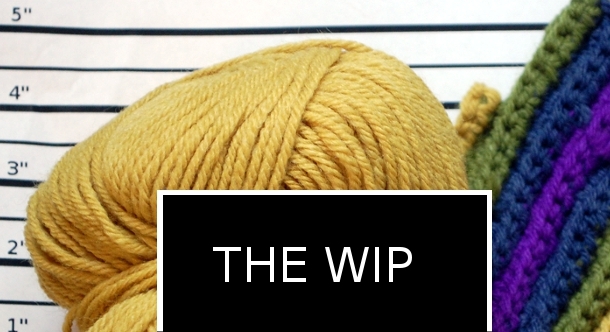 The problem lies in that expectation: what project could possibly be worthy of the yarn you bought in Tokyo, or adequately capture that week you spent in Ireland? Only something very, very special, and so in the stash it stays, waiting for a moment or project ‘special’ enough. 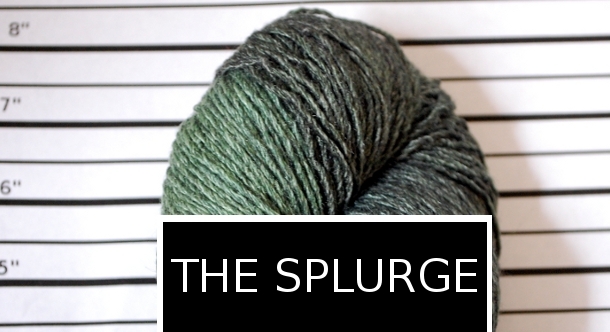 Like the Souvenir, the Splurge is a skein that may never be used. It’s that lustrous skein of silk, that tiny ball of qiviut, or that handpainted artisan handspun way out of your normal yarn budget that seduced you with its beauty and called to you beguilingly until you scooped it up, cradled it in your arms, and brought it home to your stash. There it stays: waiting for something “good enough” for its unworldly radiance that’s able to justify the steep price you paid for it. Even more ordinary yarns can fall into this trap if it’s something more expensive or special than you normally use. 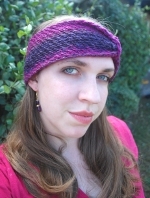 I learned to crochet with acrylic yarn, and for years that’s all I used. I remember when I bought my first ball of plain wool: it took me months before I touched it, both because I wanted to make sure that whatever I made was “worth it” and because I was afraid of ruining this more expensive yarn. 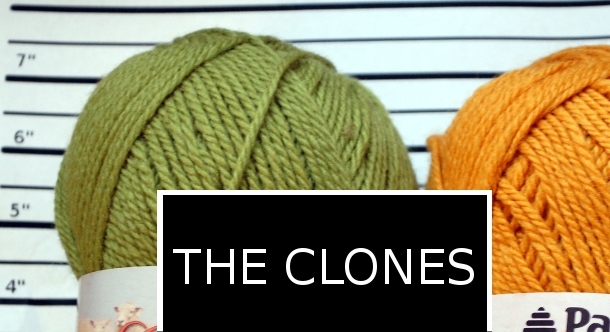 So, next time you’re out yarn shopping and a skein of something wooly, fresh, and gorgeous is begging to come home with you, take a step back and ponder whether it’s just going to end up doing time in your stash as a fiber felon. Right now my stash consists of yarn from an old lady who went into the nursing home. It is crazy the things you will learn about people and their yarn stashes. She had this crazy way of putting all her yarn into to balls and somehow both ends of the ball are on the very inside. Then she would tuck in a little piece of paper with the color name on it. My craziest find from her so far is a ball of cashmere like yarn wrapped at the same time with luster sheen. Why???? I’m always very excited when I find a pattern to go with my strange stash. What a relief to find out that my yarn stash is actually normal? I thought that I was the only one who hoarded those “special” skeins of yarn. I was completely horrified when I counted out 77 balls of different types and colors of eyelash yarn in my stash (unfortunately only 3 of them are the ever useful white Furlauro and the rest are pretty wild colors, even some variegated and some with mulitcolored pompoms – ick). I find myself making tiny luxury items every once in a while out of my premium yarn, but then I have to fight the desire to frog the item and make it into something else so that I can enjoy the yarn again without touching my precious stash again. Thanks, Melissa, for the laugh and for reassuring me that I’m not as peculiar as I thought (well, maybe I AM peculiar, but not because of my yarn stash). 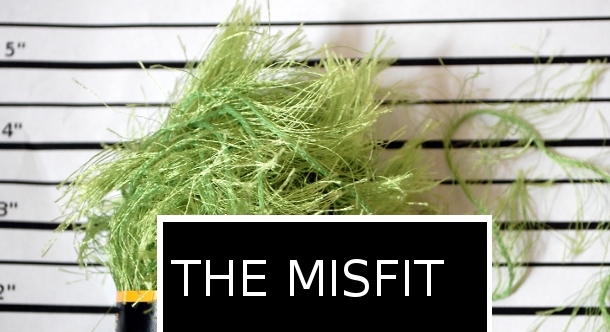 Scrolling and reading, nodding, smiling, giggling…I then snorted tea on the computer screen at The Misfit, I laughed so hard. Poor furry puke-green thing. And yet it would find many kin in my full cubic-yard carton of Misfits–things that look like a psychedelic caterpillar mated with a hairball from Timmy Leary’s cat. As you say, they seemed a good idea at the time. The local animal shelter told me that the orphan puppies love nothing so much as the snuggle blankets I defiantly crocheted out of one furry Misfit yarn. While I wouldn’t have expected them to use eyelash yarn with PUPPIES–because of the puppy ooze factor–it apparently launders up very well. Thanks for this wonderful blog entry. Yes, such a relief to know I am normal. I have such a shamefully large stash, especially clones and splurges. But now that I know I am not alone I can relax and think of how to use them up. Lol I know exactly how you feel. I am guilty of all of the above. Oh, I know this so well. 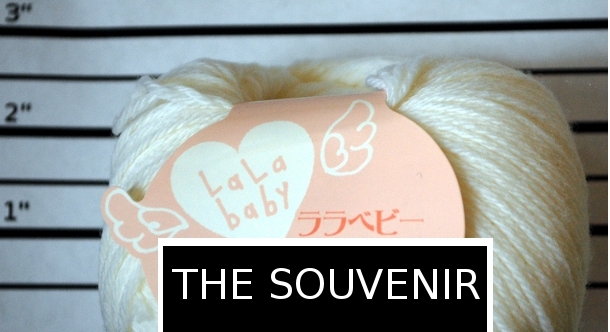 I have two skeins of a yarn that fit into both The Splurge and The Souvenir categories. 2 x 50g balls of possum fur wool from my holiday in New Zealand. I paid over $25 for 100g of possum fur yarn. What on earth am I going to do with it? But it’s a novelty, it’s a splurge, it’s a souvenir and it’s ….. still unused. Thanks so much for helping me laugh at myself! LOL! I know I am finding this a lot later than it was written, but oh, boy, do I understand! I am doing this now myself, as a new crocheter. Why do i understand so well? W_E_L_L, after only about six months, I have 4 of those white “bankers’ boxes” from Office Max and 2 big plastic storage bins from Wal-Mart stuffed with yarn, neatly rolled and ready-to-use in them, but also several bags I bought recently (like this past week), yet to get into….the biggest problem is finding places to hide them from DH who wants to know when I am going to stop buying yarn. Sigh. Poor guy, you mean after 47 years of marriage he hasn’t figured me out yet? Actually, he has, but doesn’t want to admit I have another craft addiction. Just like the counted-cross-stitch phase, the ceramics phase, the decorative/tole painting phase(lasted 15 years), and the oil-painting phase (not to mention occasional other crafts in between, because they were only minor flings, not love affairs)….